Welcome to 2019! As part of my resolutions for the year, I want to make sure I’m posting a book or movie review every Sunday. While I work on my own writing, I think it’s important for me to continue supporting other writers and creators. 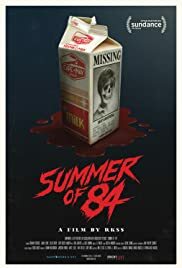 First up for the year is a movie review of “Summer of 84” – an excellent horror film that is much heavier towards mystery/suspense than gore. 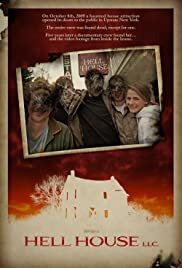 I found this film through my Shudder subscription, and I’m so glad I did. What we have here is more of a coming-of-age film than anything else. The band of friends who decide to investigate all of the disappearances are a motley crew of boys all trying to find their roles in the world. They’re dealing with the transition of being children and becoming young adults. It reminded me a lot of “Stand By Me” in terms of tone and the style of character development. As for the plot, it felt more like an adventure with a dark end rather than consistent horror, and that was a refreshing change for the genre. There’s plenty of suspense and a clear mystery to be solved, but the jewel of this movie is the exploration of character rather than antics of the alleged serial killer. Without revealing too much, I would like to still comment on the ending. I’m of two minds. On the one hand, it seems very fitting. On the other, there was something that felt too resolved and convenient. Of course, I don’t want to spoil anything since I hope anyone reading this review might choose to watch and form their own opinions. Overall, this was a really great movie that I think will appeal to both horror lovers and non-horror lovers. It’s a great movie for those just starting out in the genre or those who are fans of dark coming-of-age stories.